Mary, Mary quite contrary, how does your ganja high grow? With eighths and screens and heat-activated steam, I've got a VaporBLUNT in tow! 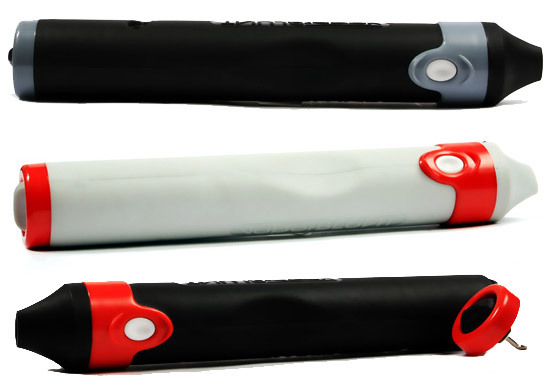 A VaporBLUNT is a portable vaporizer with a ceramic, battery-powered heating element, and stainless steel filling chamber. It has two temperature settings--Normal (390F) and, for a Magnus Samuelsson-sized vaporous onslaught, Super Boost (410F)--as well as a unique internal mixing tool that fluffs and shuffles herbal nuggets without losing the heat its chamber has already accrued. This, according to the manufacturer, propels the "Vaporization experience" from fleeting seconds into multiple minutes of puff, puff, pass. The VaporBLUNT measures 1.5" wide x 10" long x 1.5" tall, conveniently fitting inside backpacks, purses, and fronts of pants. And while $220 may be more than one anticipates spending on a Costco-sized reusable blunt, remember, this particular Costco-sized reusable blunt both makes good on its formidable size with a proportionately massive high, and is not easily lost or broken. 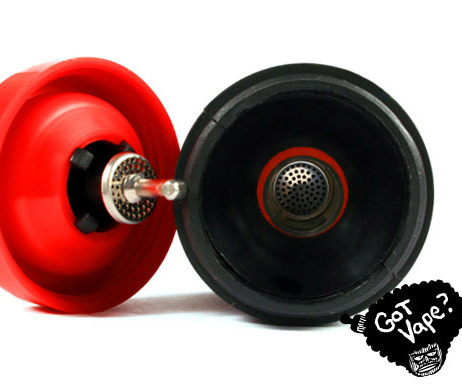 Pitted against the number of pipes and bongs you'll inevitably drop and shatter, or leave behind at a reggae show, over the years, the VaporBLUNT's payback period will really be only a few months. 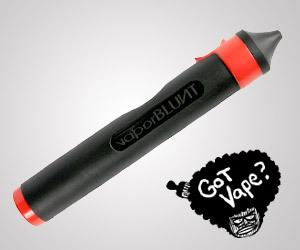 For further details, visit the VaporBLUNT Website. It's filled with 5,000-word product descriptions, technical specs, and instructions for use. Which is kind of ironic given that its niche market is people whose ability to reason and process information has been severely inhibited by the very substance the VaporBLUNT is intended to enhance.